I had been thinking for a while how I would find a way to have my SitaScapes paintings framed. I considered ordering them online and even tried to make one myself. Intuition told me that I needed to find someone I knew personally who could help me develop a signature design. 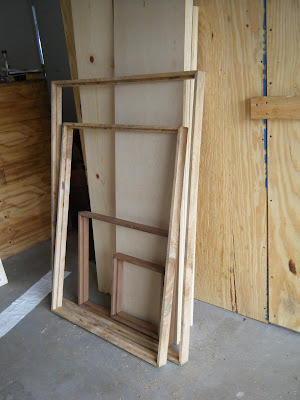 I wanted a frame that would enhance my paintings without being a distraction. 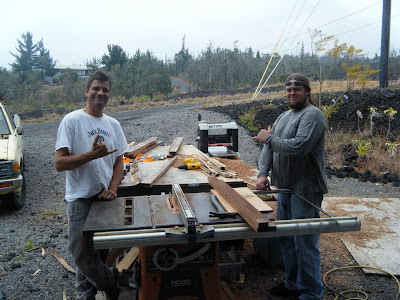 I also wanted something made here on the Big Island with local products and talent. After a few months of contemplation the perfect friend surfaced! 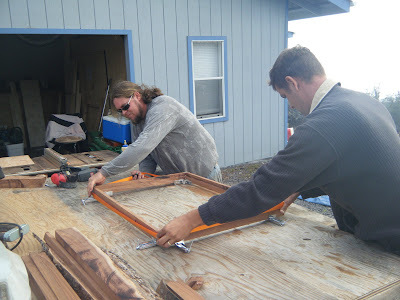 Wild'n Wooley born and raised in Hawaii Ocean View Estates turned out to be the perfect person to create the perfect SitaScapes frame. 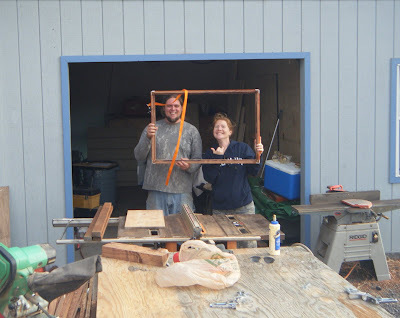 As a prior finish carpenter, he had all the supplies needed to craft frames and could help me transform my design ideas into physical form. As a bonus, he also had a nice collection of old Koa, Ohia and Mango logs ready to be milled. Wild'n was thrilled at the opportunity to use his stock-pile of wood which had traveled with him for many years now as he moved from house to house. I visited Wild'n one day to experience the picture making process from milling to final assembly. It was an eventful day and now I can appreciate even more why I am an artist and not a woodworker. When I'm painting mistakes can either be fixed or they become gifts that are admired. 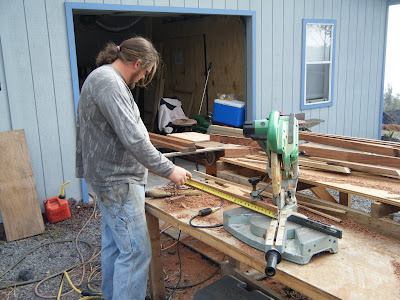 With woodworking, there is no room for error unless as Wild'n says "you have a magic wood stretcher"!